Cell Biology deals with the fascinating world of biology which covers almost all aspects of the structure of Cell. 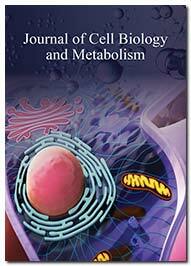 Journal of Cell Biology provides optimum platform where researchers from all over world can submit their work to it. Journal of Cell Biology is a famed international journal having an impeccable Reviewer and Editorial Board. Journal of Cell Biology and Metabolism is a scientific open access journal that deals with the on-going research on Cell Structure and its metabolism. The study of Cell Biology includes fundamental research on Cell Anatomy, Cell Structure, Neurocellular Biology, Cell Therapy, Cell transplantation, Stem Cell Biology and membrane Biology. Articles with recent research output that can aid to the progress of the subject are most welcome. The journal uses Editorial Manager System for easy online tracking of the articles available to authors. Manuscripts undergo thorough peer reviewing under the guidance of eminent scientists who are expert in their subject field.